Super Value Deal: Add the below two tours to your holiday package for just $99* per adult! 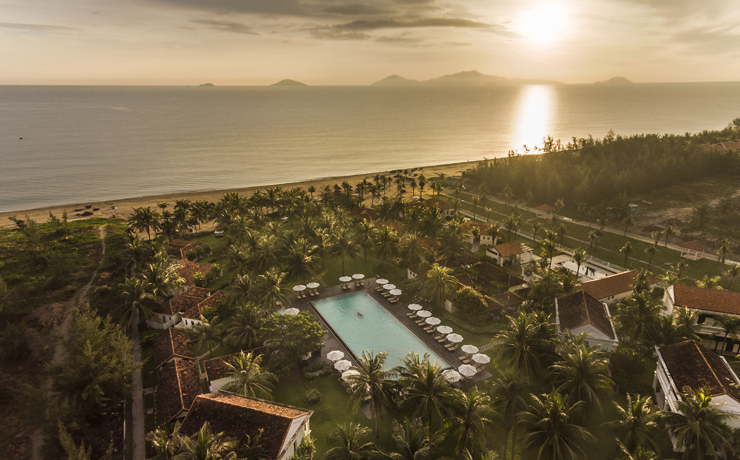 This charming property set along the beach front of Hoi An oozes French colonial charm and boasts all the modern comforts you’d expect to find at a 4-star resort. With a large pool set in the middle of the resort surrounded by lovely tropical gardens and arguably one of the best stretches of beach in the area. This resort has a peaceful and relaxed vibe and will not disappoint! 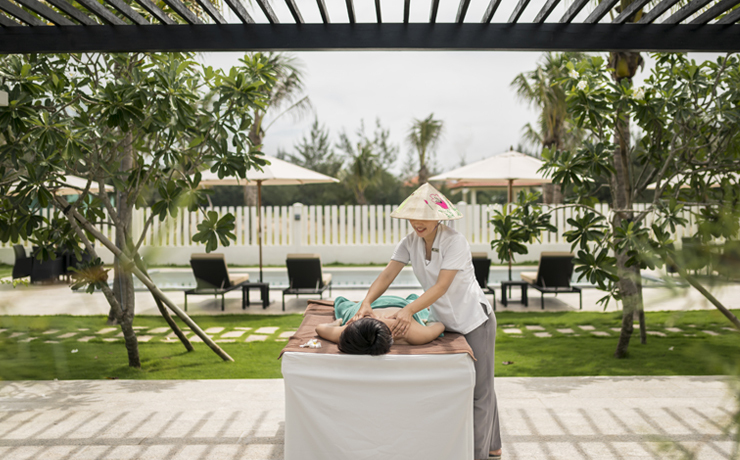 Located on the beach of An Bang Beach in Hoi An, just 30 minutes from Danang airport and a short 5 minute drive from the Ancient town. 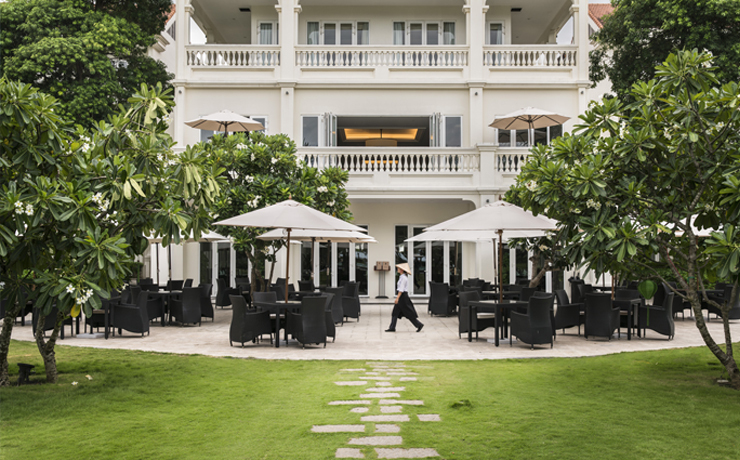 At Boutique Hoi An Resort, guests can enjoy superb cuisine from around the globe including authentic Vietnamese cuisine along with western favourites. 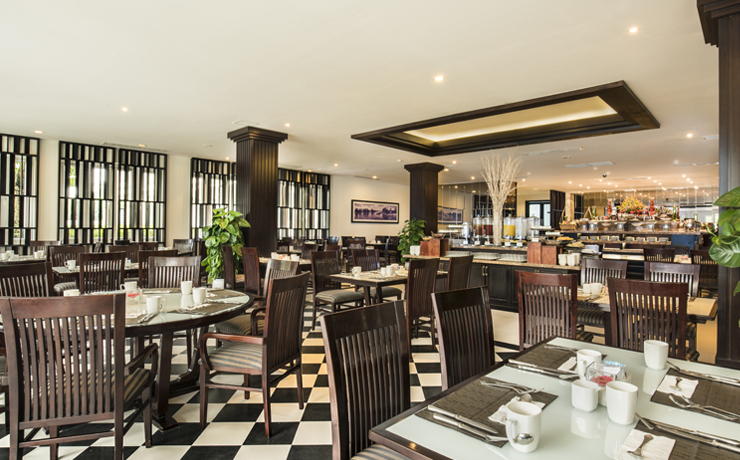 Le Café Restaurant – Located under the lobby are and over looking to the gardens and pools Le Café is open all day, serving an extensive buffet breakfast along with A la carte lunch and dinner with a range of Vietnamese and western dishes. La Piscine Pool Bar – Located by the pool and open from 9am – 9pm you can relax by the pool with a refreshing drink and light snacks. La Plage Beach Bar – overlooking the beach open all day for drinks and light snacks. Le Salon Bar – Located just off the lobby and open all day for tea, coffee a glass of wine or a cocktail along with a range of cakes and snacks. All rooms offer the same facilities such as in room WIFI, tea and coffee making facilities, air conditioning, TV, IDD phone, Minibar, safe and hair dryer. 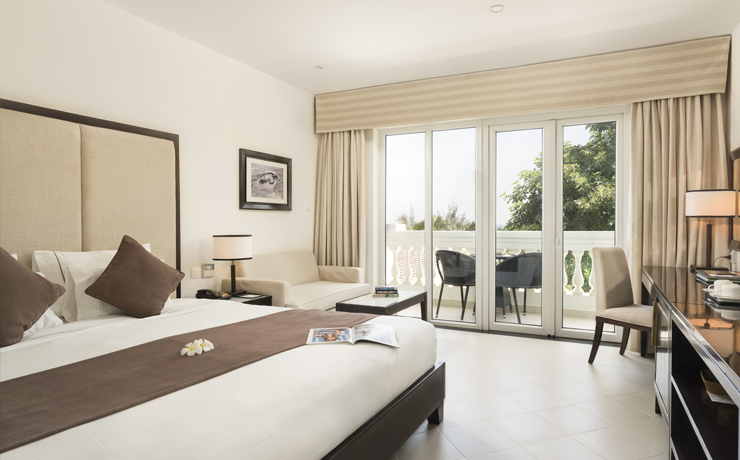 Superior Room – These rooms are located in a 4-story building off the lobby, these rooms are tastefully decorated and all feature king or twin beds a balcony and terrace (if on ground floor) with views over the gardens and out to the pool. The bathroom features a shower only. Deluxe Room – Similar to the Superior rooms and located in a new building (only built in 2017) next to the Superior block. These are just slightly larger than the Superior rooms all feature king or twin beds. Some of these rooms also interconnect. Premier Deluxe room – These rooms are located in clusters of 4 rooms with 2 rooms upstairs and 2 rooms on the ground floor and closer to the pool area. All feature king or twin beds, balcony or terrace and shower only. 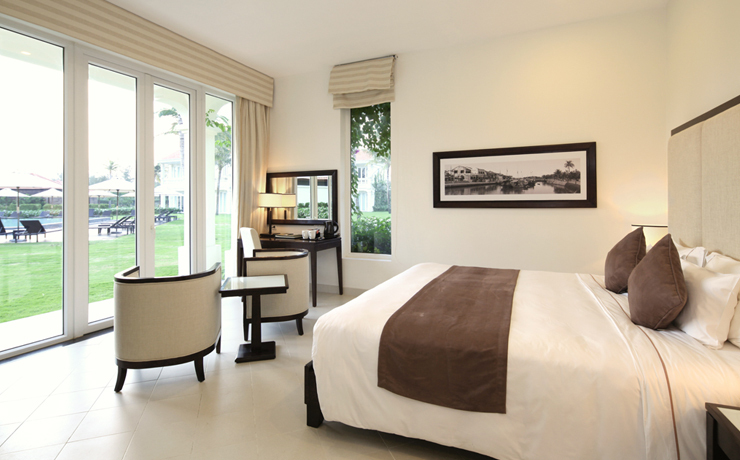 Boutique Deluxe room – These are all located on the ground floor and are closer to the beach. With large rooms with views to the garden and pool. All feature king or twin beds and shower only. 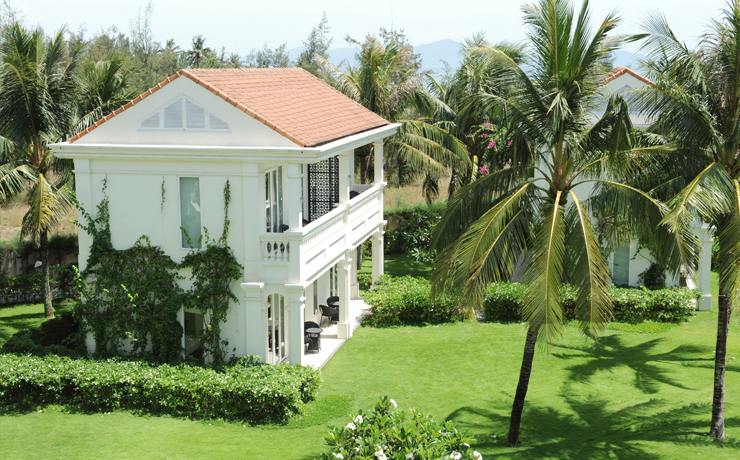 Beach Villa – These are located closer to the beach area and feature two bedrooms one with king and one with twin beds. They also feature 2 bathrooms giving much more space and comfort for a family. Advertised price not valid during school holidays, Christmas and New Year. 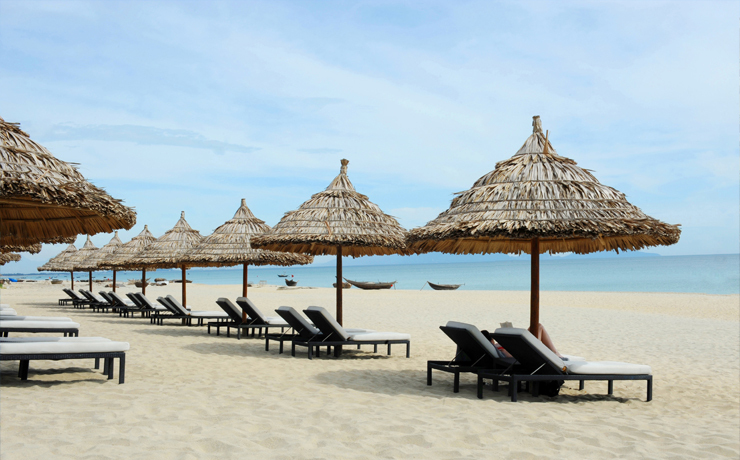 Prices are per person and include airfares, all taxes, transfers and twin share accommodation. Prices are subject to change without notice due to currency, tax fluctuations & fuel surcharges. Special airfare ex SYD, MEL & BNE. Seats are limited and all departures subject to availability. * Two tours for $99 per adult. Please note does not include transfers to/from the meeting point for the tours.